The demise of Warhammer Ancient Battles was quite a kick in the guts for ancient wargaming at our club for sometime. 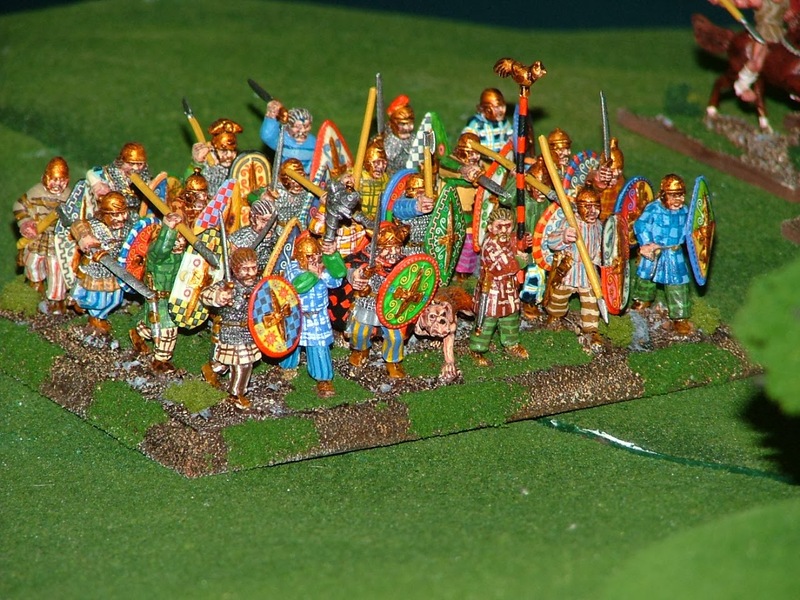 There is no doubt that we, like many fellow gamers around the globe felt somewhat deceived and cheated by Warhammer Historical with their new WAB rules, army lists and specials only for them to close up shop and provide a semi-professional, hardly finished product in the end. As a result we turned our attentions to other periods and rule sets. 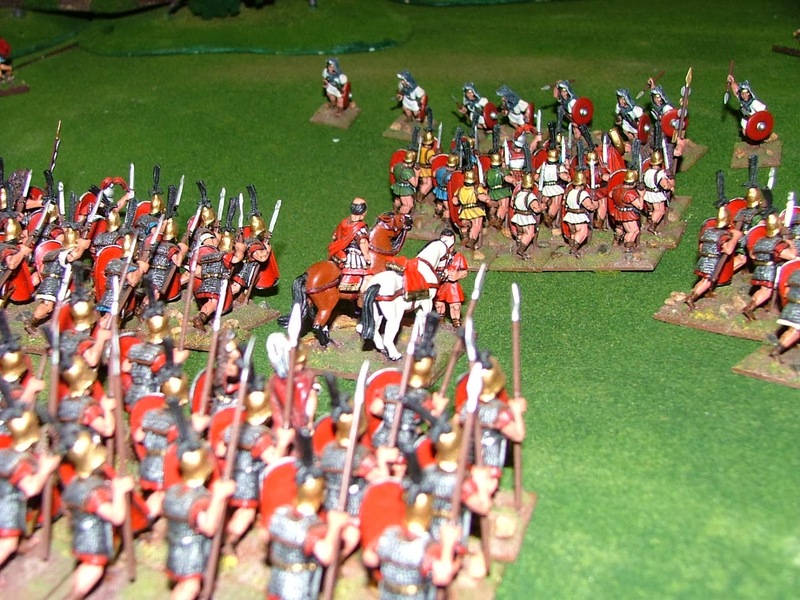 However we did enjoy some tremendous games with Hannibal, Alexander, Shieldwall and El Cid by their tremendous writers of Curtis, Jonas, Morris etc. Cookies lovely Gripping Beast Celts from the hand of the great man himself. 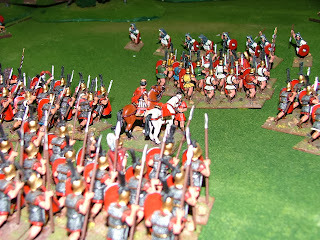 Certainly the Punic War games ere great fun with Hannibal and his hordes fighting a series of victorious battles against First Consuls Steve and Carlo over many months and years. 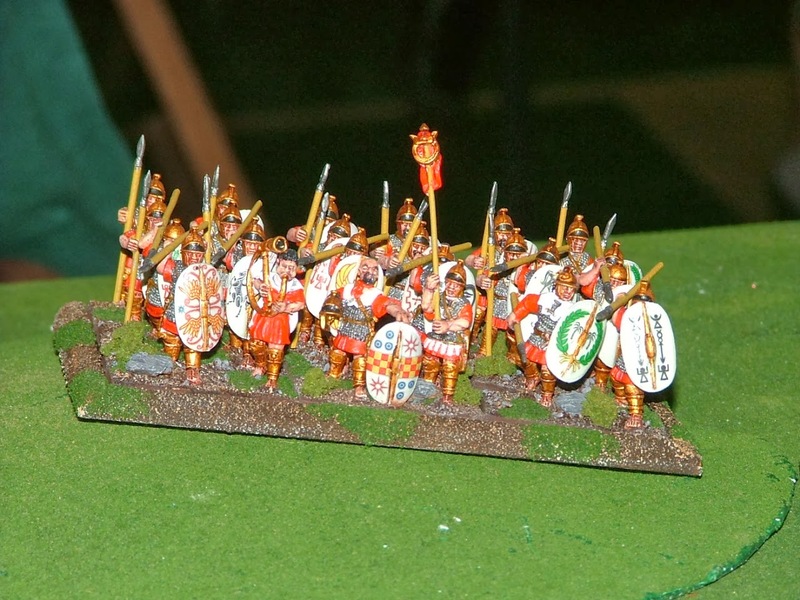 Veteran Spearmen with lovely LBM Shield transfers. I am sure we must have stolen a victory somewhere along the line however Cookie assures me that we are indeed delirious and have severe memory problems. As I get older I cannot absolutely challenge that accusation so lets just say that we intended to re fight the games as history has shown us. some of their best work. "I didn't sign up for this Mario!". Great games with many players, a few drinks and a very light-hearted emphasis on winning the game. 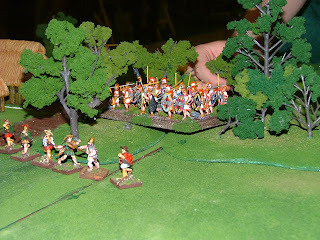 Very good fun in the true spirit of wargaming. We have since been captured by the very good "Clash of Empires" rules from Great Escape Games and it would appear that Ancients is once again on the ascent at the NWS. 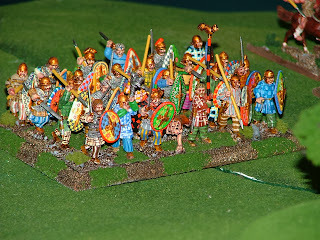 Some nice looking figures there, I particularly like the Celts and will use that picture as inspiration for the batch of 15mm Celts I have as a project for next year. 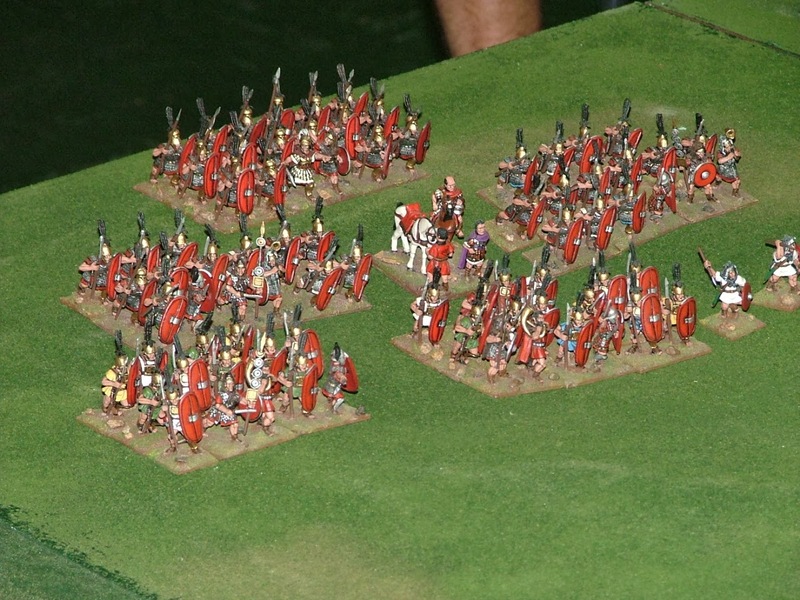 As for rules, I went from WRG 6th Edition to 7th Edition (including the dreaded rebasing) to DBA and now Field of Glory. I have had some excellent games with FOG and just about to field a new army based on Burgundian Ordonnance. I find FOG a natural evolution from WRG 7th Edition which sadly DBM did not do for me. I loved 7th edition when it came out and still think they were a great set of rules. 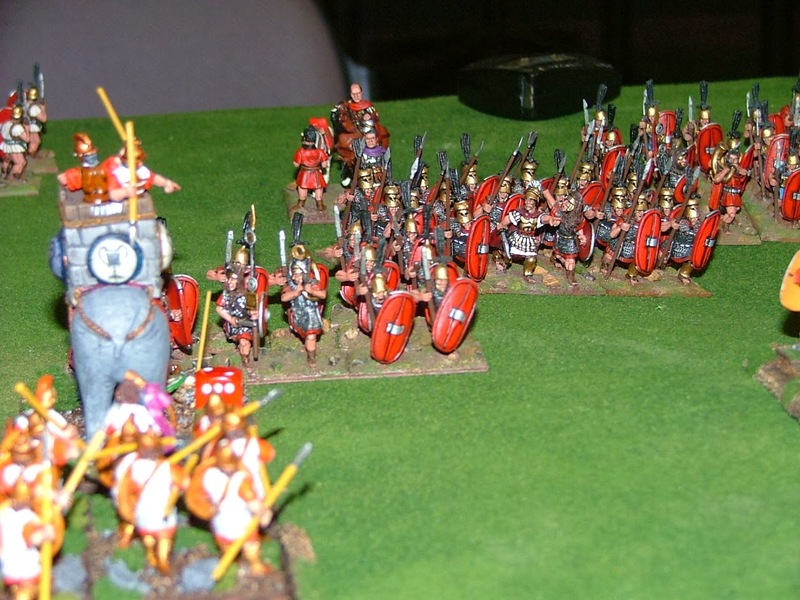 Played in a few tournaments whilst living in Sydney with some great guys in 28mm and then 15mm at Cancon. They are Warrior rules now aren't they?